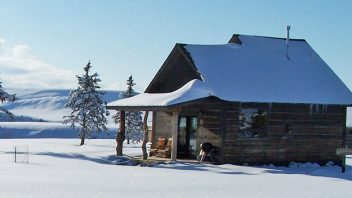 “Blue Sky” is a luxury cabin retreat far from the ordinary & perfect for couples who want peace & quiet & the feeling of having your very own cabin paradise in the mountains of Montana! 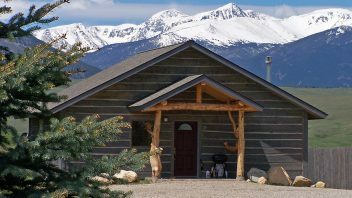 All of our cabins are distanced from each other for privacy and offer completely unobstructed views of the mountains and wildlife, no matter which cabin you choose! They have expansive, covered decks complete with Gas BBQ’s & glider chairs, full kitchens, flat screen tv's and DVD and Blu-ray players and so much more. 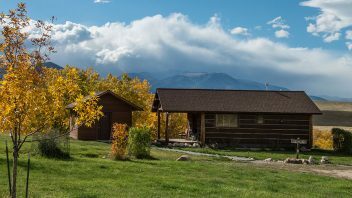 The cabins have many large windows to allow for plenty of light & views from every room of the cabin towards the mountains! You can awake to a dramatic mountain sunrise from the comfort of your cushy bed! 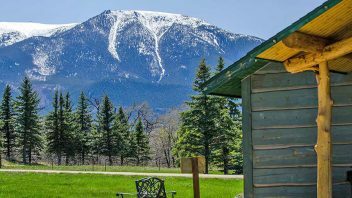 The Sylvan Cabin has an awesome view of our pond and the surrounding mountain peaks that can be seen directly from the two-person whirlpool tub! To make a reservation, please click on the Check Availability & Reservations Tab. We need a 50% credit card deposit to reserve, the remaining balance is due upon arrival. Check-in is 4:00-8:00 pm. Check-out is 11:00 am. Please be sure to read our Policies Page before making a reservation. 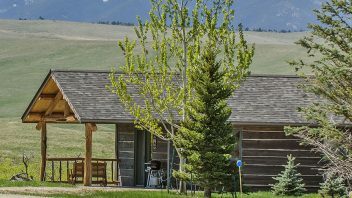 Luxury, adult accomodations in the heart of Big Sky Country near Red Lodge, Montana and nestled at the foot of the spectacular Absaroka/Beartooth Mountain Range and Wilderness, near Yellowstone and the Beartooth Highway. 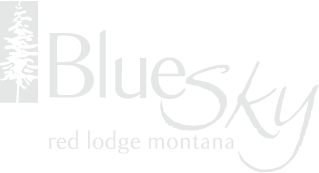 Copyright © Blue Sky Cabins. All rights reserved.